And tru out da land. Ta hear da story at hand. 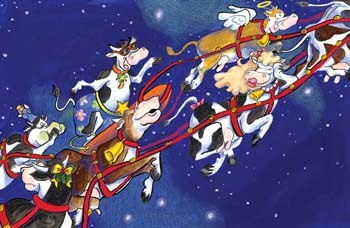 In a bovine pulled sleigh. Santa is one great Packer backer! Of this fun filled rendition. To this new Holiday Tradition. And a Happy Mooo Year!